The LogStomper Metric Grip LS-2 answers the market demand presented by the surge of European and Internationally developed forestry equipment. 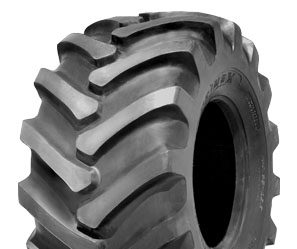 This tire runs well under chains or tracks and provides a more aggressive tread profile than the HF-2, making it ideal for sloppy conditions. Logstompers are used on tractors and forestry machines like forwarders, harvesters and log skidders used in harvesting trees in tree farming environments.